Driving your car in extreme weather can not only be a challenge, but might also be dangerous. Fog lights are an added safety feature that can make your drive more comfortable and safe and it gives you more peace of mind while travelling. What Is The Best Color For Fog Lights? At What Road Conditions Should You Use Fog Lights? How To Replace Fog Lights? Fog lights or fog lamps are used during situations where your visibility is impaired by not only fog, but also conditions like heavy rain, snow, dust or smoke. Fog is defined as tiny water droplets that forms a cloud at the surface of the earth and the greatest problem it poses is poor visibility. 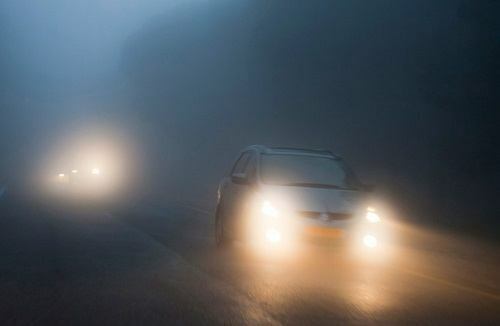 When fog lights are used in conjunction with headlamps it makes the maneuvering in these types of conditions much easier and safer when travelling at a slow speed. Fog lights can also be used in clear weather during day or night when you need to enhance visibility around tight bends or corners. The purpose is to illuminate the edges of the road, lane markings and the foreground. Fog lights are designed to pierce fog and other particles just in front of your vehicle and normally have a beam pattern that shines over a broad area. This pattern of lightning keeps the light low and below eye level, which prevents it from reflecting off the fog and blinding you. They are not able to light up the road further ahead of you and it is important to drive slowly when they are in use. Front fog lamps light up the area directly in front of the vehicle, by providing a short wide beam of light. This increases the visibility of the sides of the road. Fog lights are mounted low on your vehicle, at or below bumper level, almost at the same height as your headlights. 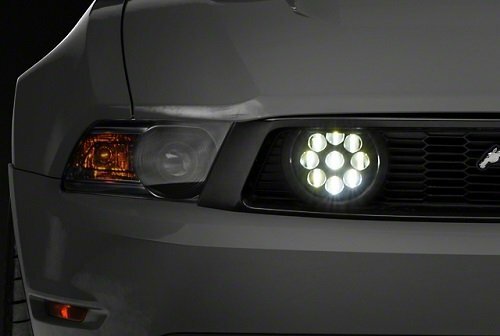 Front fog lights are usually either be white, selective yellow or blue in color. Rear fog lights are bright red in color and its purpose is to make the vehicle more visible from the back for other drivers. In order to understand the place of fog lights in your car’s safety features we need to look at the different kinds of lights on a vehicle as well as their function. Headlights are used whenever it is dark. They are classified as low beam headlights or high beam headlights. These lights are switched on whenever lighting is low, such as in the evening, at night or between twilight and sunrise. Impaired visibility due to weather conditions like gray overcast days, rain or snow is also an indication to switch headlights on. It is also used whenever you are unable to distinguish a dark clothed pedestrian or cyclist from 100m away. This is the standard headlight setting used when driving in low light conditions such as mentioned above. The pattern of the lightning beam is controlled in order for the driver to have good visibility of the road ahead without causing glare to other drivers. All vehicles are fitted with one or two of these as part of the original equipment. They are white or sometimes amber in color. Low beam and high beam headlamps are often combined into one light. High beam headlights are stronger lights that will light up a longer stretch of road in front of the vehicle. They are used in low light conditions where there are no other cars in the road. Since these lights are not dipped, they will dazzle other drivers around you. Thus, these must only be used when other vehicles are not directly in front of you of if there are no vehicles coming towards you. Most vehicles are fitted with one or two high beam headlights that are preinstalled. All vehicles except motorcycles may have up to four main beam headlights. They are also white or amber in color. 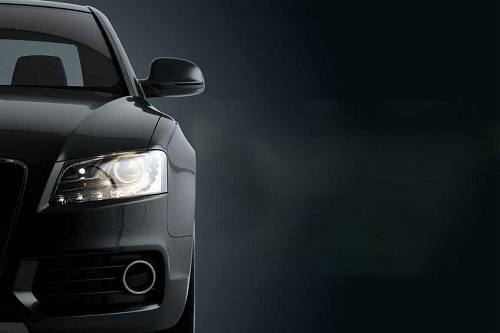 High beam headlights are designed that they automatically switch off when you change to low beam headlights. Stop lights are situated on the back of the vehicle and they light up automatically when you brake to warn other drivers. They are usually positioned in pairs towards the sides on the rear end. Many vehicles also have stop lamps in the rear window, sitting in the base or at the top. These are called “high-mounted” stop lights (HMSLs). Stop lights are red in color. Light vehicles have up to two pairs of stop lights as well as up to two pairs of high-mounted stop lights. Heavy vehicles can have up to three pairs of stop lights and two pairs of high-mounted stop lights. Motorcycles usually comes with up to two stop lamps. Most vehicles have hazard warning lights which are used to indicate a temporary hazard in traffic, thus it serves as a warning sign. Direction indicator lights are compulsory for all types of vehicles and shows other road users your intention to turn. These are optional lights that can be used to increase your visibility to other drivers in daylight. Daytime lights have a low light output and they are not sufficient to illuminate the road in front of your vehicle, but they are a useful added safety feature. You are allowed to add up to two daytime running lights to your vehicle, if it doesn’t automatically come with two pairs. Sometimes these lights are a function of the high beam headlight. 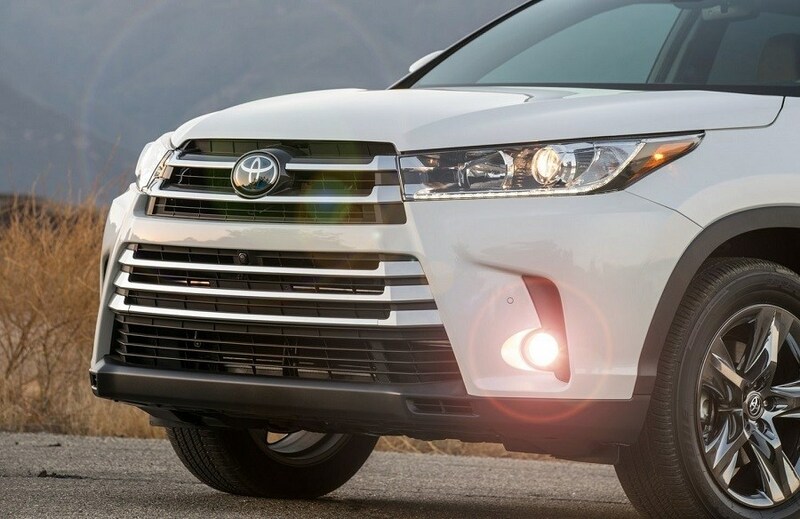 They are white or amber in color and are usually designed to turn on when you switch the engine on and they switch off when the low or high beam headlights are used. These are the lights that illuminates the outline of your vehicle. They are low in output and are situated at the front and rear of the vehicle. Position lights are also called park lights or tail lights. Front position lights are white or amber in color, while rear position light should be red. These are rear facing lights which lights up the area behind your vehicle and switch on automatically when reversing. These lights have no function besides making your vehicles stand out in the crowd. They can be any color and they are not supposed to concentrate the light into a beam, but only function as a diffuse light. They are not to be positioned close to your essential lights and must not be directly visible from either the back or front of the vehicle. Cosmetic lights are not allowed to change color, flash, pulse, fade in and out or move in any way in order to avoid distracting other drivers. Fog lights that are already installed on the car are called OEM lights or Original Equipment Manufacturer lights. OEM refers to the manufacturer of the original equipment, in other words the parts that are used during the construction of the vehicle. Not all cars have fog lights automatically installed since there is no legal requirement for them in most countries. They are often available as an optional extra. Aftermarket lights are lights manufactured by companies other than the Original Equipment Manufacturer. These may be installed as replacement of the original lights by the user at a later stage, or installed as the first fog lights in vehicles that is not made with it as a standard feature. 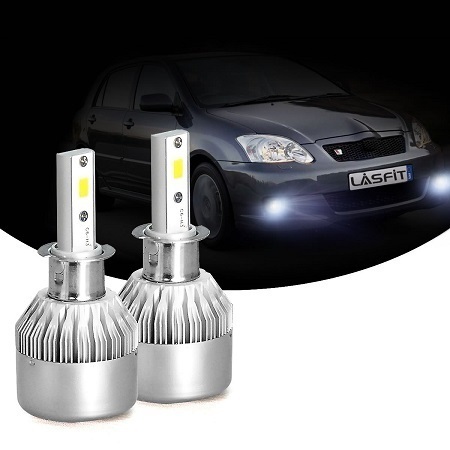 Halogen bulbs have been used for many years and most vehicles are fitted with standard halogen fog lights. This is their biggest advantage since if your vehicle is already fitted with these it is easier to just continue using them. It is also possible to upgrade to a different halogen lamp which is easier than converting to other types of lights. Halogen lights operate with a filament that is heated by electricity and creates light. This is the same principle that is used in a normal incandescent light bulb. They are available in different wattages, most commonly 55 and 100 watts. The higher the wattage, the brighter the light. Higher wattage draws more current. Thus, halogen lights can be quite power consuming and places the highest demand on the electrical system of all three types of lights. HID or High Intensity Discharge lights uses xenon gas that are set alight by an electric charge. The Xenon is electronically energized and thus they do not have any filament in them. Their main advantage is the high light output they are able to produce and thus they provide a wider beam pattern. Compared to standard Halogen they can produce up to 70% more light and the service life is also much longer than a halogen light. Disadvantage of HID fog lights are that they are costlier than Halogen fog lights. When compared to LED lights they are much more fragile and their lifespan is much shorter than LED lights. HID fog lights are considered illegal in certain states or countries since the light might be blinding for other drivers. These fog lights use simple LED’s as a light source that are mounted to the sides of the housing of the light. They have the longest shelf live when compared to other types of lights, since they don’t have any filament that can burn out. Other upsides are that it is not affected by vibrations and they generate less heat and use less power to operate. They are available in different colors, most commonly white, yellow or blue. Compared to HID lights, most LED lights might be less bright but they are much more sturdier and their heat output is less, causing a much longer working life. These three types have different beam patterns. The mini light bars use spot beams, and the larger length bars have a choice of spot, flood or a spot flood combination beam. The most effective ones use a center spot as well as side flood patterns to create the light source. There are different kind of fog lights available on the market. In order to understand color and light output better best lets quickly look at color temperature. Color temperature is measured in Kelvins. A lower Kelvin rating means a lower color temperature and thus produces warmer lights, e.g. yellow. Light bulbs with a higher Kelvin rating has a higher color temperature and emit cooler light, which is bluer. White lights produce the lightest output. Since the shades of white lights are naturally closer to daylight, it also gives a sense of being awake when at the wheel. There is controversy about yellow lights vs white lights, since traditionally it was believed that yellow lights are more effective in poor weather conditions. Yellow light has a relatively long wavelength which can provide visibility at a further distance. However, when dealing with small particles such as fog, rain and snow the wavelength doesn’t make much of a difference. It is said though that yellow lights have less backscatter and that they make you more visible for oncoming traffic. When adding color to light, the total lumen output is less and it makes visibility decrease, although only by a fraction. 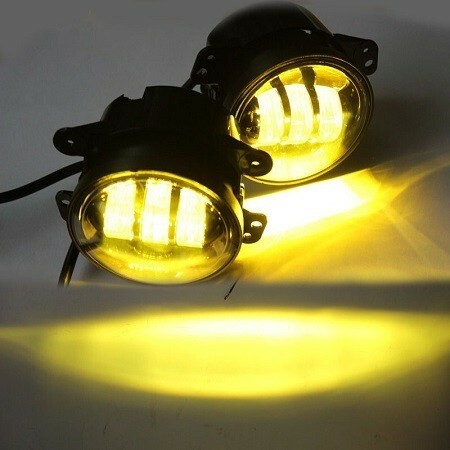 Yellow lights are very popular though since it has more visual appeal for some users. But it is not better than white light in terms of function. If your visibility is more important to you than good looks, go for a light with a color temperature of around 5500K. Most of the high-performance bulbs have lights in this range. Blue lights have a short wavelength and is not the best option for fog lights since it is a little harder to see. It is on the other end of the light spectrum compared to yellow. If you drive in misty conditions on a frequent basis rather go for white or yellow lights. However, if your fog lights are more for show and you hardly ever use them you can go for a slight blue color with a color temperature of about 7000K. 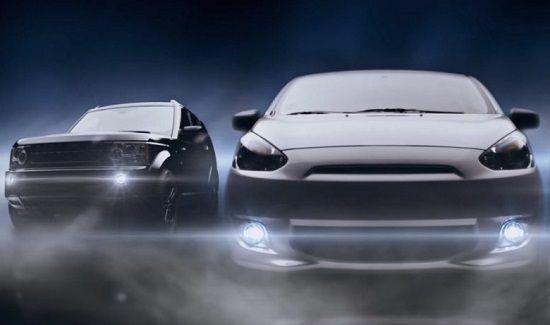 As already mentioned, fog lights are intended for situations where visibility is poor like in heavy mist or fog, snow, rain or when driving through sandstorms or thick smoke. There are certain things about its proper usage that you need to bear in mind though. In some countries fog lights are not allowed to be used in conjunction with your headlights and should only be used together with side or parking lights in adverse weather conditions. In others you are allowed to use it together with your low beam headlights. A decent fog light has to have an extremely sharp cutoff on the upper aspect. Otherwise light reflecting off water droplets or snow can cause a blinding reflection for the driver. Another important thing to note is, that when you are using fog lights you should drive at a very slow speed, since fog lights won’t illuminate much of the road, they only improve visibility for what is right in front of you. It is illegal in most countries to drive with fog lights on if the visibility is not poor. Causing an accident under circumstances where you have not used fog lights properly can result in problems with your insurance claim. It is also important to make sure your fog lights are in good condition and that they do not have blown fuses, burned out bulbs or bad relays. Therefore, it is a good idea to have them regularly inspected by a qualified mechanic. Fog lights should be situated at the right height, mounted very low on the vehicle. It should provide a wide light. When they are aimed too high they can cause a glare for other drivers. If they are aimed low they can be used without causing problems for other road users. 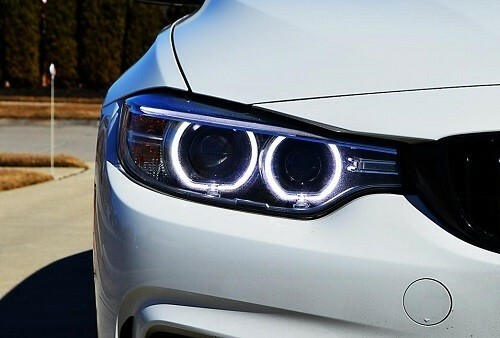 One should also keep in mind that they are almost as bright as regular headlights, so once again it is important to only use them when absolutely necessary. Rear fog lights should also only be used in low visibility or low light situations. Often you are able to operate front and rear lights independently. Rear fog lights are very bright and can be mistaken for brake lights, which might confuse the driver behind you. At dusk it also creates quite a glare and may be blinding to those at your vehicle’s rear end. If you prefer to set up your fog lights yourself there are fortunately many different kinds available to use as a DIY installation. There are lights available that are just mounted to the grill and these are the easiest ones to use. Other types are mounted into the body of your vehicle and need to fit inside the housing of your car. 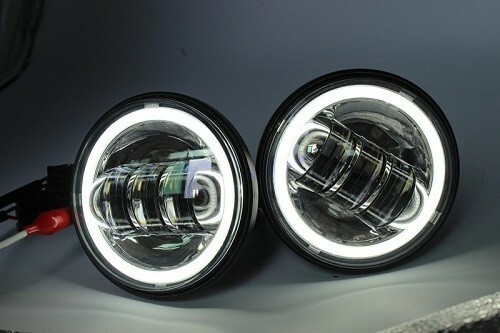 If you have existing fog lights and you want to replace them with a different type of light, e.g. change from Halogen to HID fog lights you will need a conversion kit. Just check the laws in your country with regards to what is allowed and what not before you buy. The reason is that some housings which are designed for halogen bulbs are not suitable for HID lights since the glare is too great for other drivers. In most instances, however there is a legal way to install this. Fog lights are a useful addition to your vehicle and can make driving under low visibility conditions safer and easier when used in the correct way. Be diligent to use them only when needed and do not compromise the safety of others in the process. When used correctly, fog lights can be beneficial not only to you, but also for your neighbors on the road. Try it out and see for yourself.